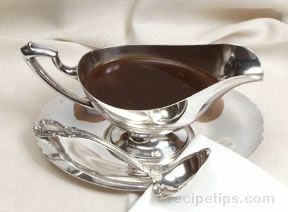 Served over mashed potatoes, stuffing and turkey, this gravy will be perfect. 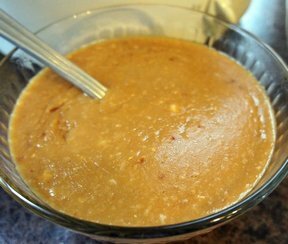 Try putting some freezer corn in the mashed potatoes well and topping it off with this gravy. In medium skillet over medium heat, stir flour into drippings. Cook and stir until dark brown. 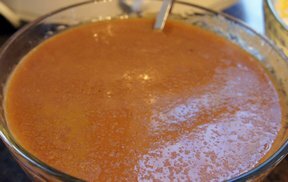 Stir in water and bouillon; cook and stir until thickened and bouillon is dissolved. "Who said gravy was difficult? This was delicious and perfect. Perfect on the slow cooker mashed potatoes we had for Easter."